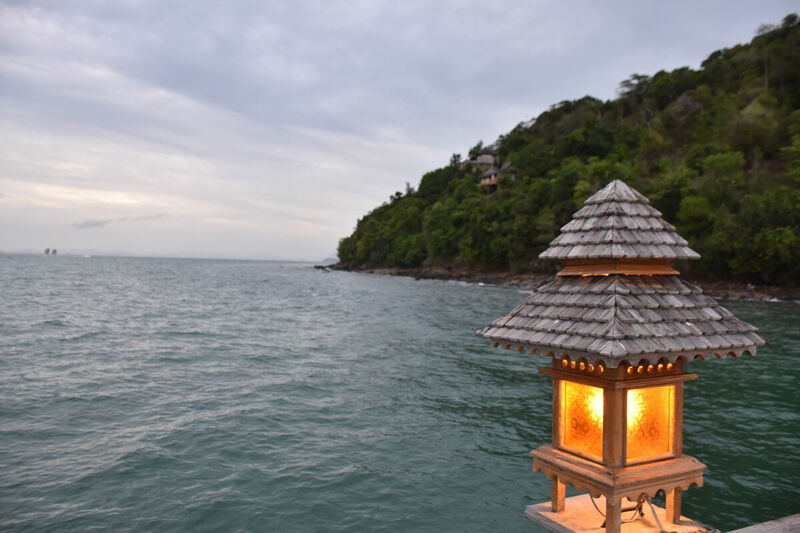 Phuket, Thailand’s premier beach destination is mostly known for its throngs of holiday makers. From the busy tourist hot spots to isolated stretches, there’s plenty of beaches to flock to. Off the mainland peninsula, there’s even more beaches on the island’s that dot the Andaman Sea. Surin Beach, on the west coast, was where we spent a few days in June this year. 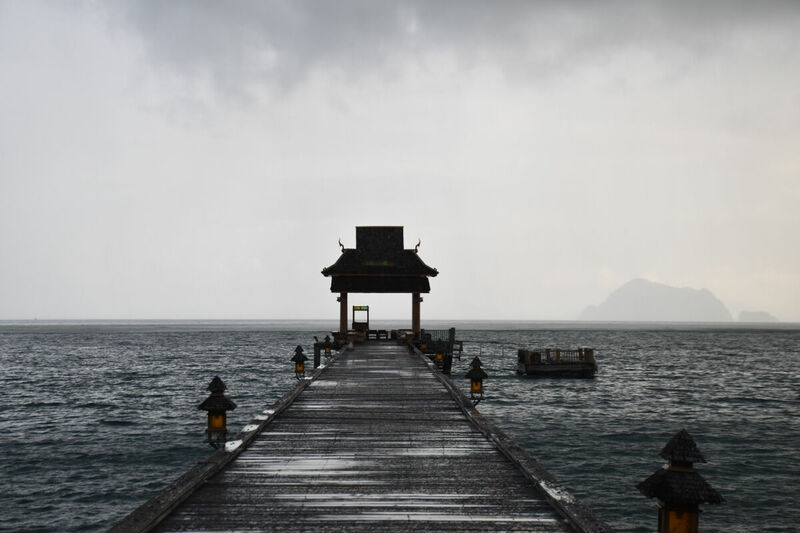 It was the start of the rainy season, but that did not dampen our spirits much. The sea at Surin Beach was a bit choppy on the first day, but still a pleasant stretch of beach nonetheless. 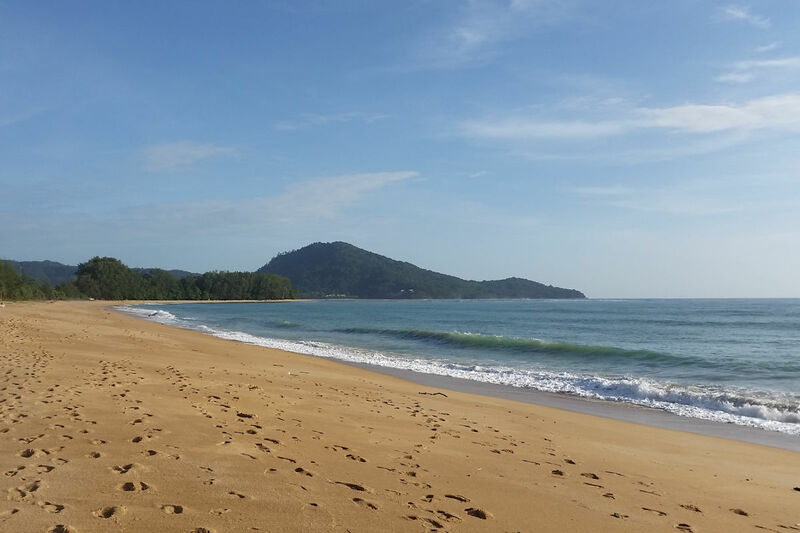 Surin Beach is a relatively quiet area in Phuket, with restaurants set further back from the coastline. We stayed at The Chava Resort, where the staff and management were very friendly. 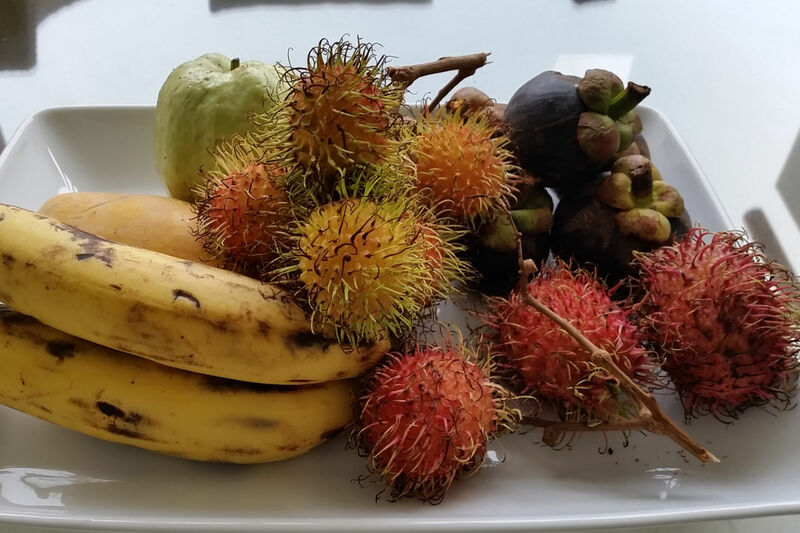 The fruit platter on arrival was indulgent, especially the juicy mangosteen. Breakfast was yummy and served alongside the inviting pool. Further inland, we visited a local village with food stalls along the main road, ending off with delicious sticky rice and mango pudding. From Surin Beach, we hired a cheap rental car and drove around the peninsula, taking breaks to swim at the many beaches. Patong Beach was by far the busiest, and Nai Harn Beach in the far south having one of the loveliest settings. 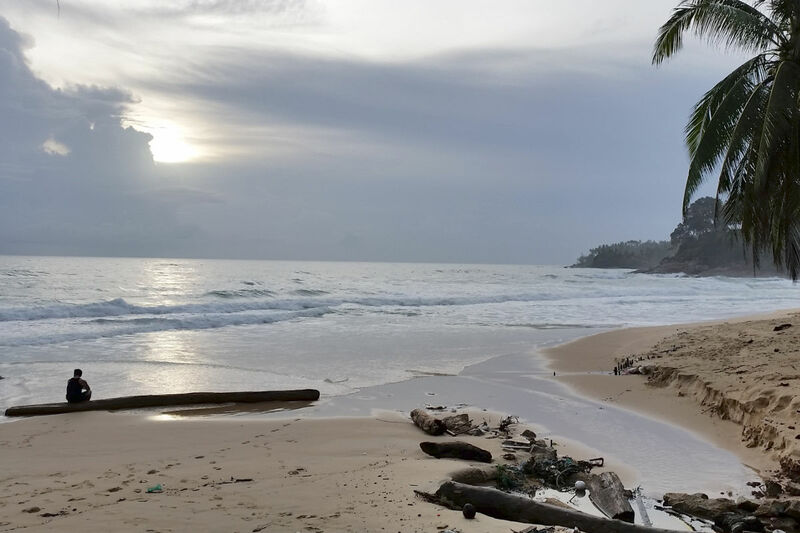 You could easily spend a day or two exploring the beaches. 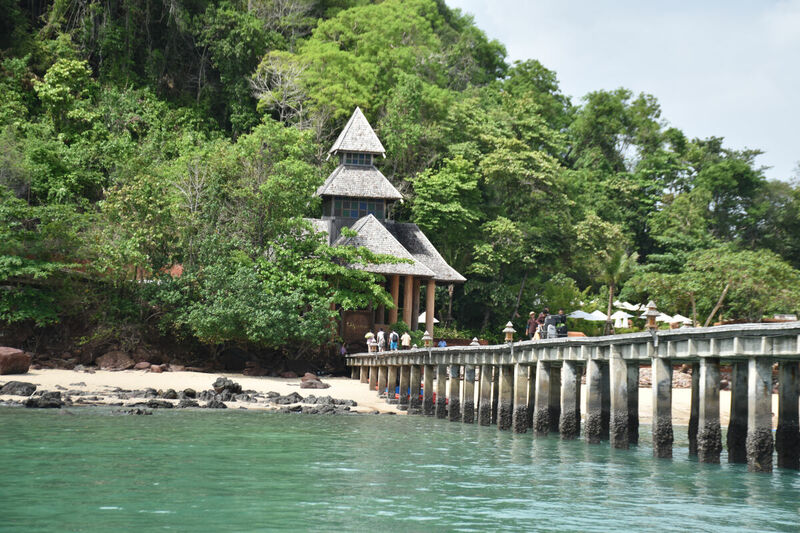 Our next stop was the small island of Koh Yao Yai, a 20 minute ferry ride from Phuket’s mainland. 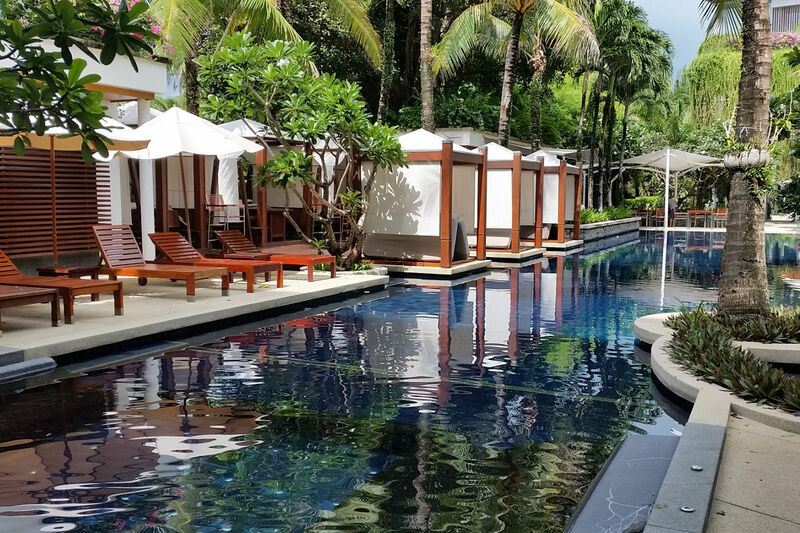 We stayed at the expansive Santhiya Resort, where each guest is welcomed with a Thai neck and shoulder massage. The resort is on spread across a hilly area, and our room had a stunning ocean vista. Apart from the beach, there were many activities including yoga and kayaking. The resort itself is alongside a small village, with a number of small food stalls (much cheaper than dining at the hotel’s restaurants). The highlight for us was a seafood barbecue set up on the beach at nights, with the waves lapping at your feet as you eat at your table. Returning to the mainland, we had a short amount of time to kill before our international flight. As luck would have it, the weather was also at its most pleasant at this time. Behind the airport is the Nai Yang Beach, where we first strolled to where the runway meets the beach. Here we watched passenger jets taking off from the international airport. Back at the main swimming beach, we had the most calm and inviting sea to have our final swim. 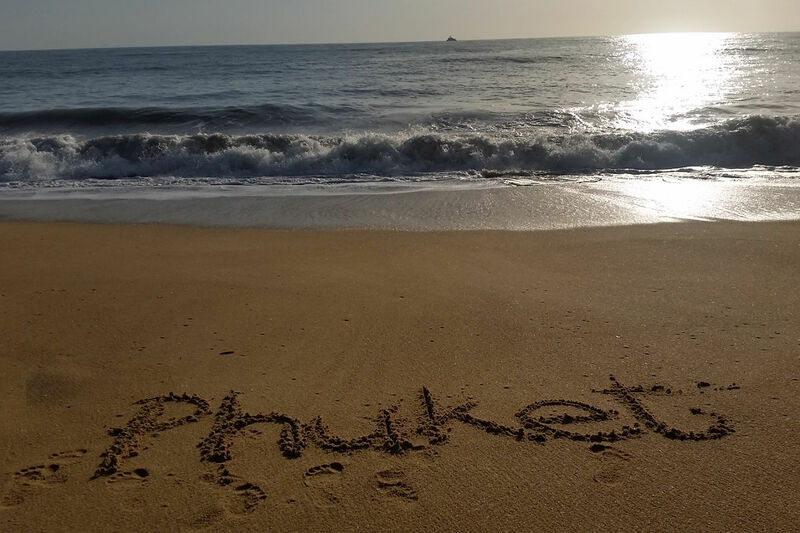 It was an unexpected spot, but perhaps the best beach we swam at in Phuket was right alongside the airport.